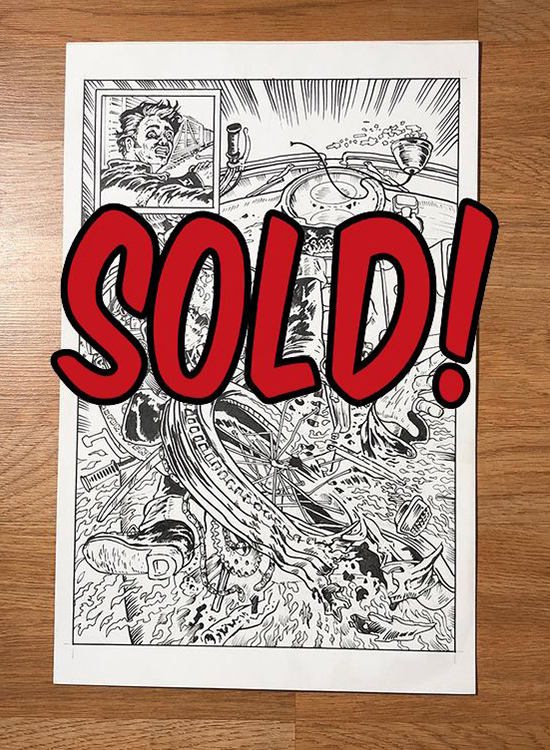 Free Original Art for every 5 new email subscribers YOU bring to me! 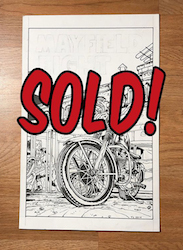 Mayfield Eight is an homage to the grindhouse action-based color drenched movies of the 1970s. 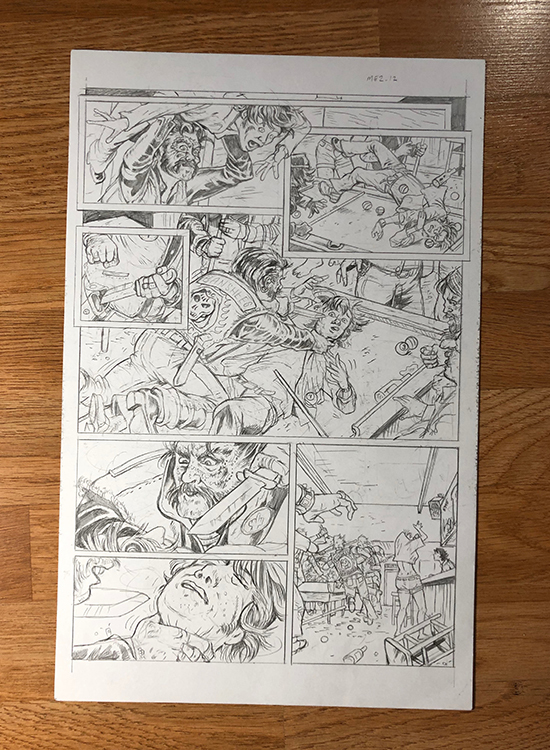 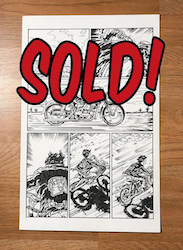 I've had people asking to be put on my email subscriber list to get the latest news about this dynamite comic --and there have been those asking how they can get their hands on the original art pages for the comic! 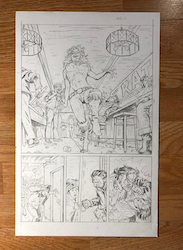 Now I'm combining both favors in one irresistible deal where you get pages for bringing people in! 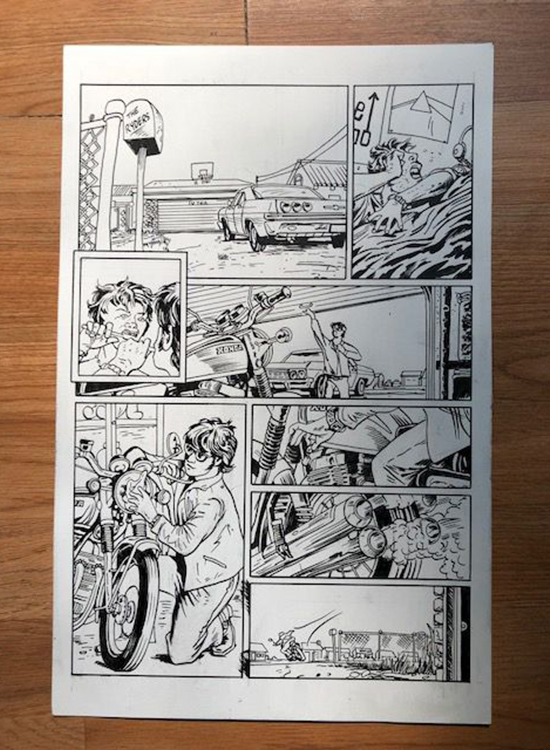 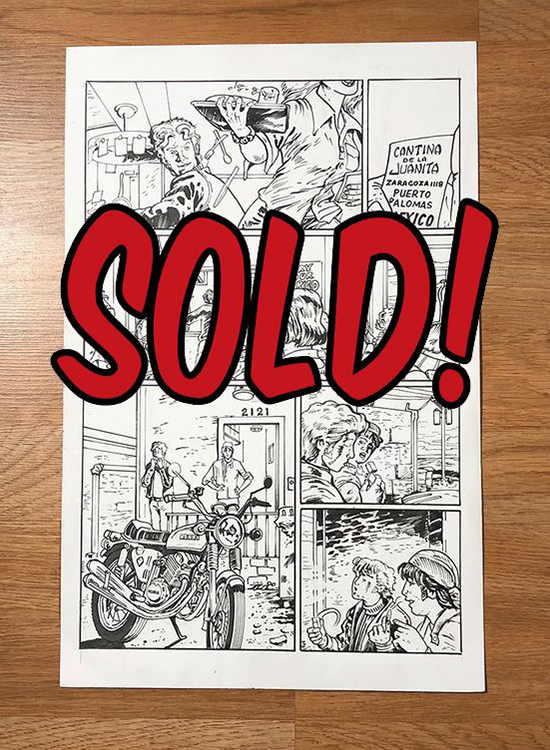 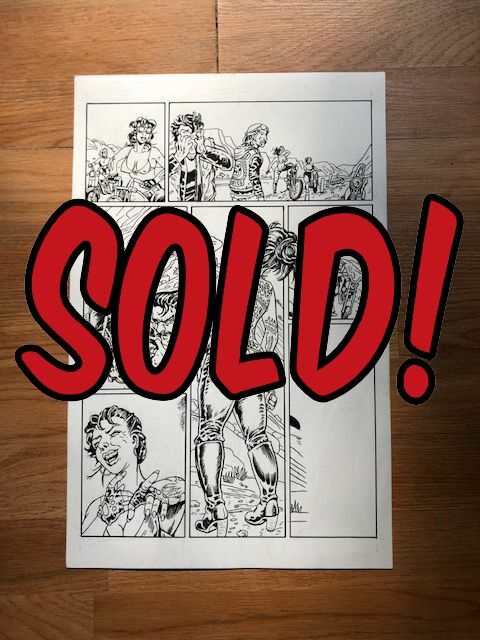 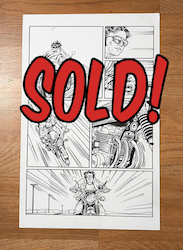 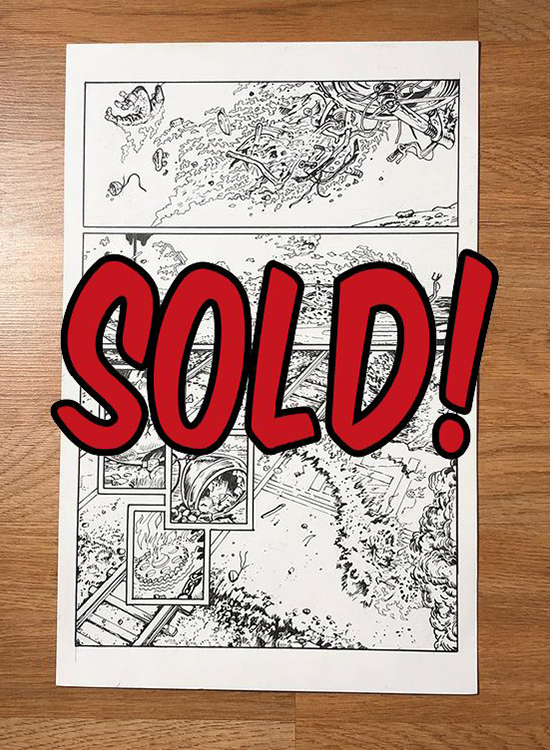 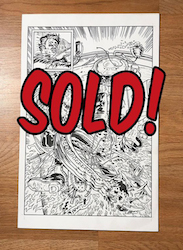 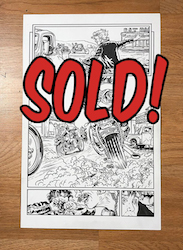 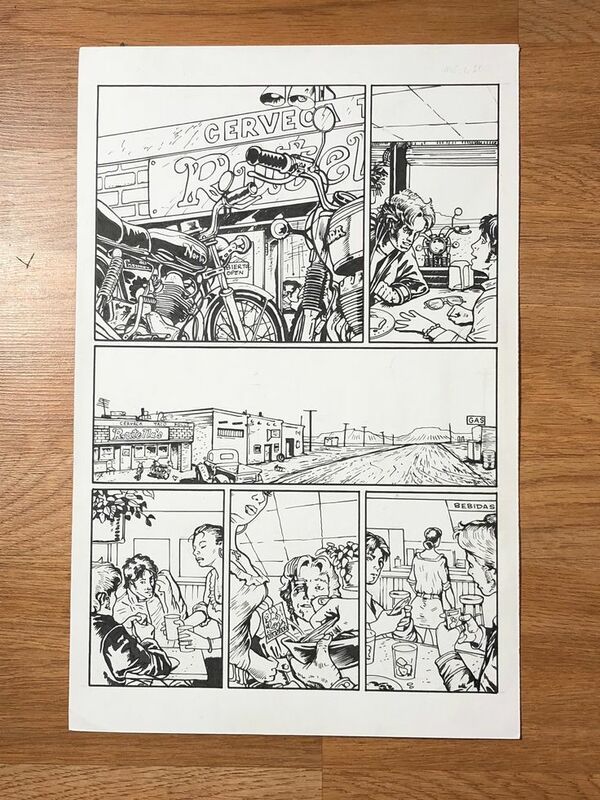 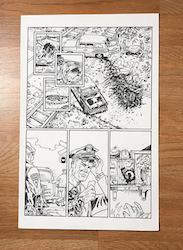 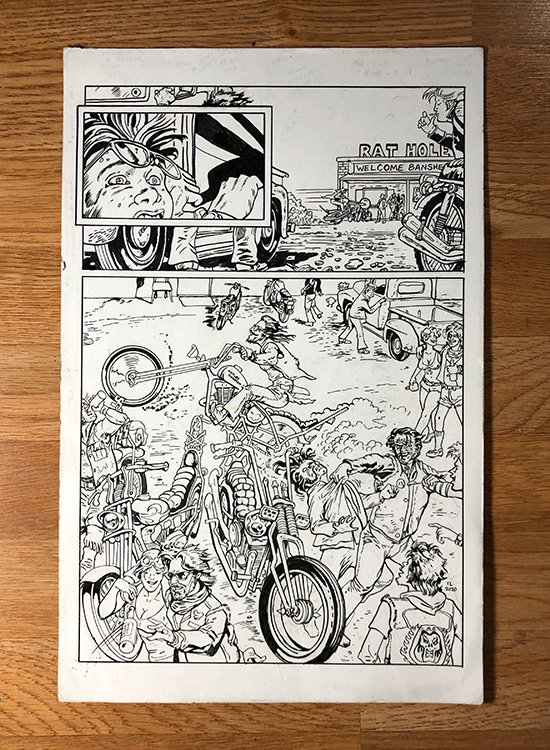 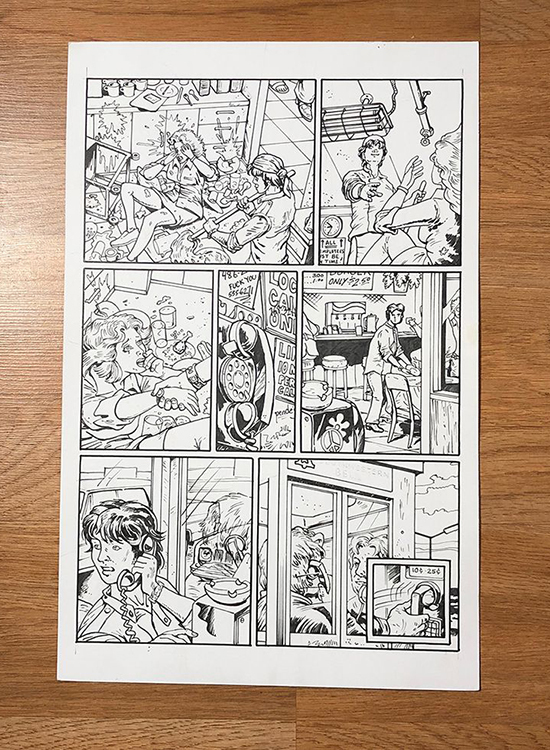 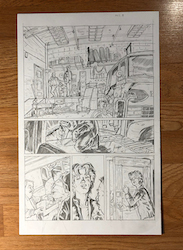 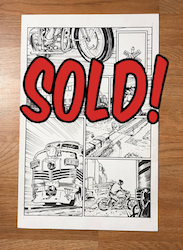 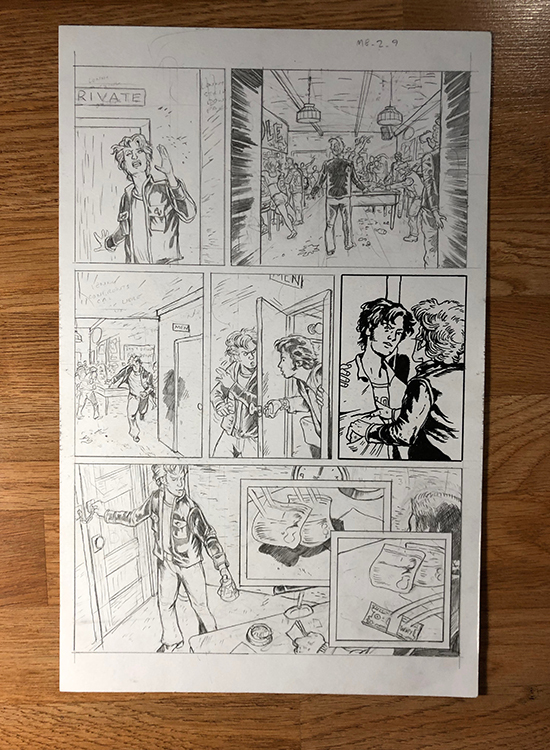 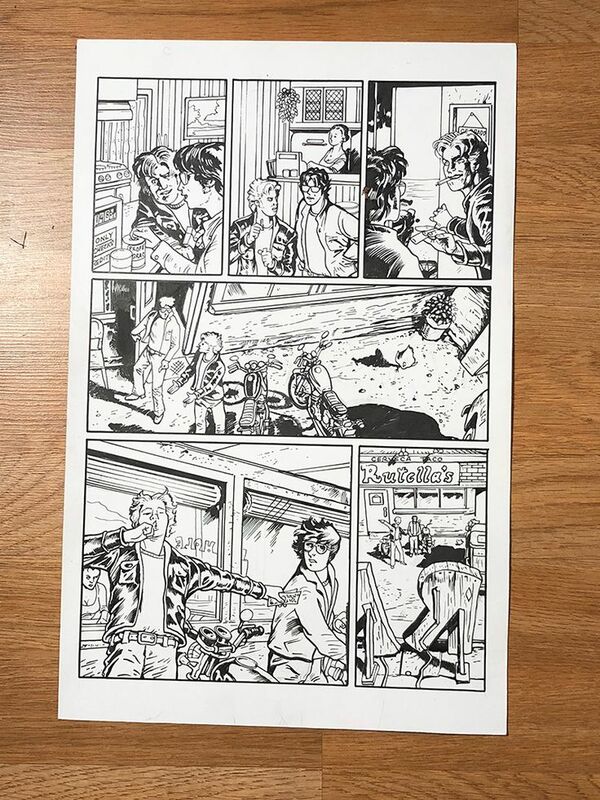 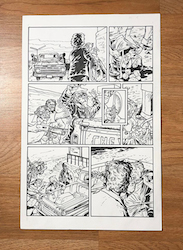 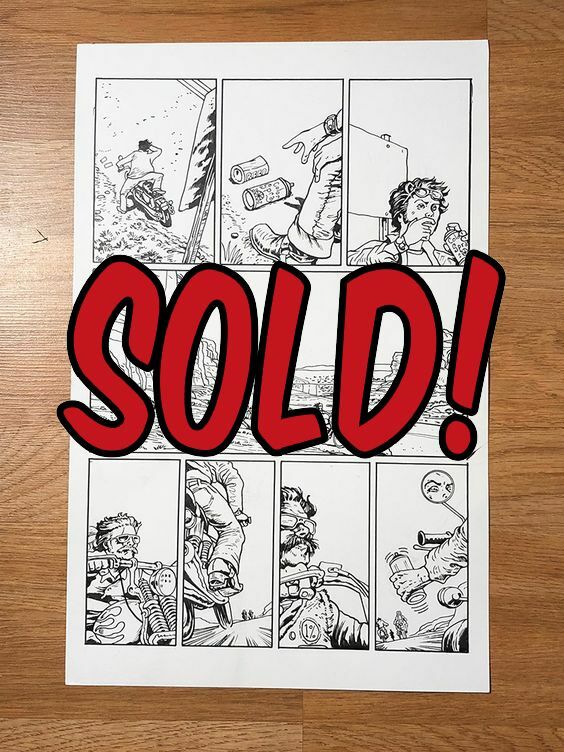 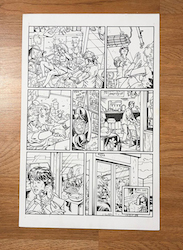 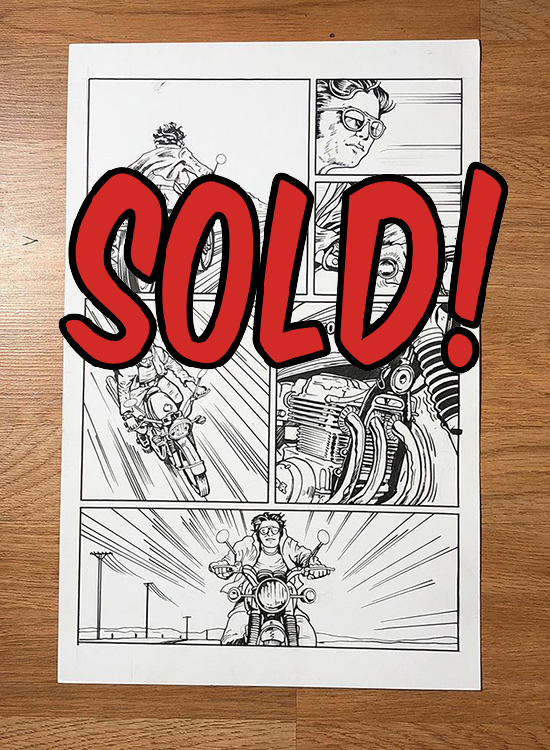 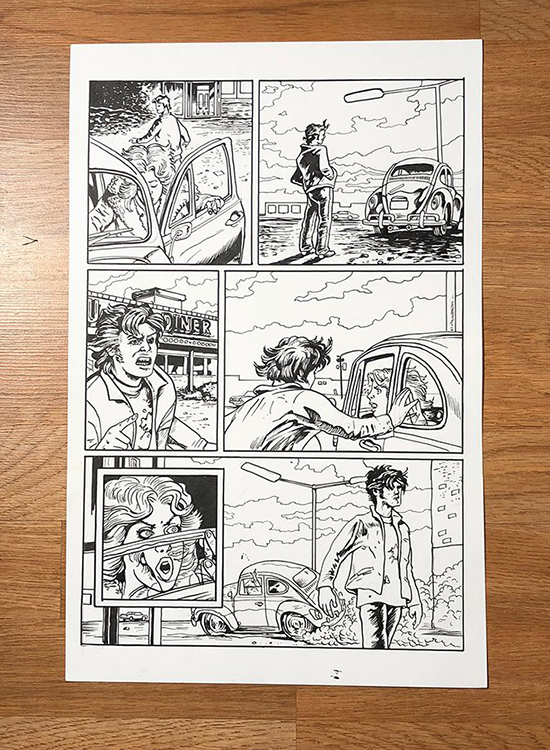 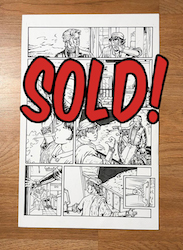 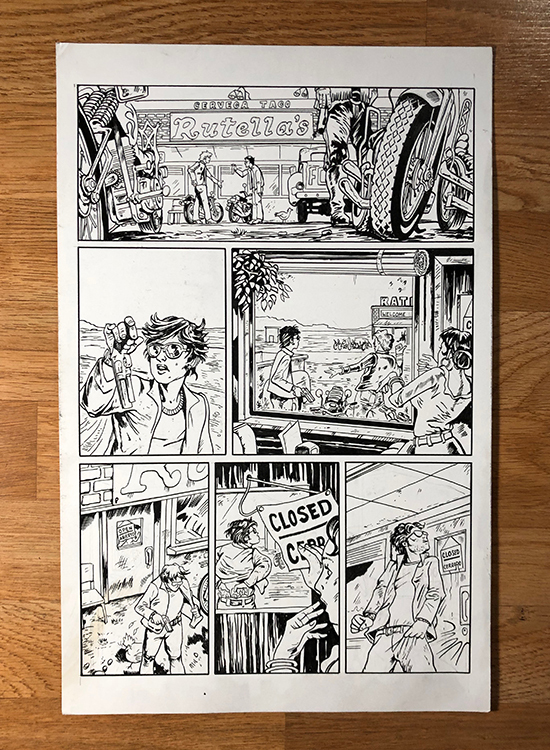 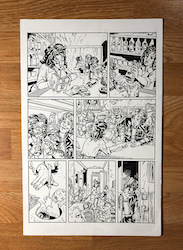 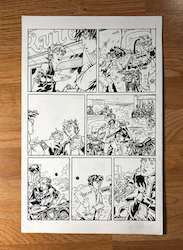 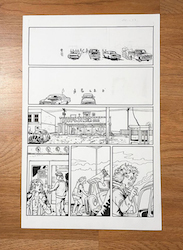 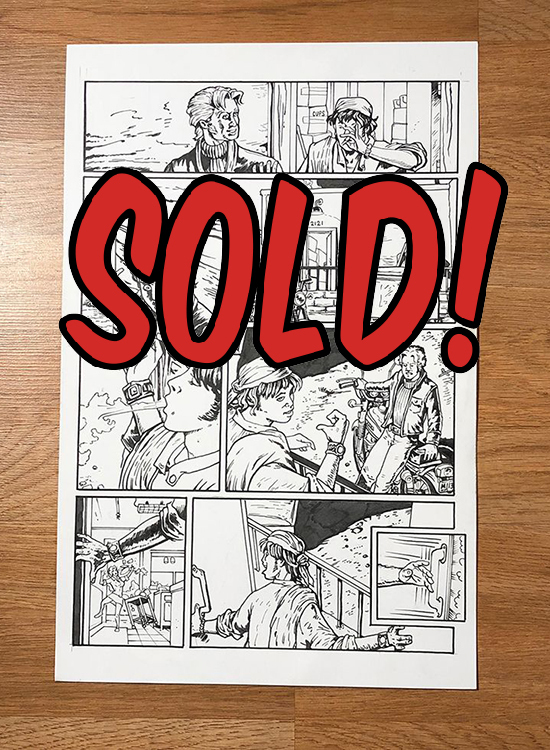 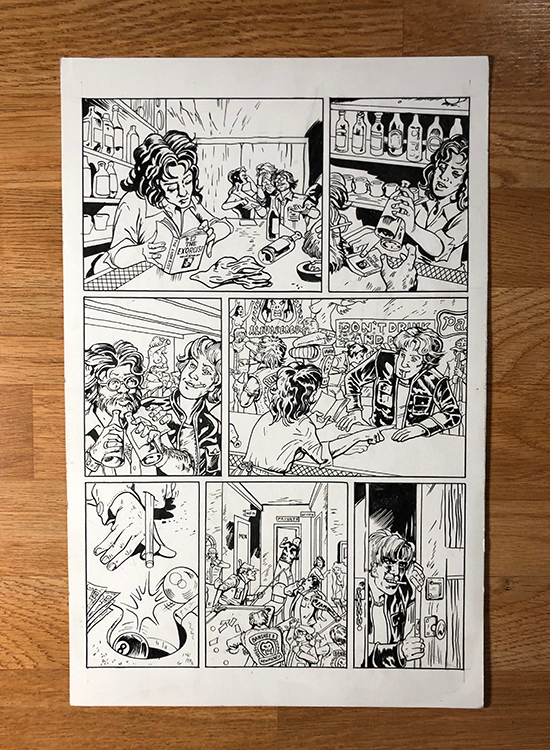 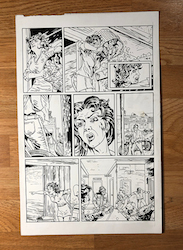 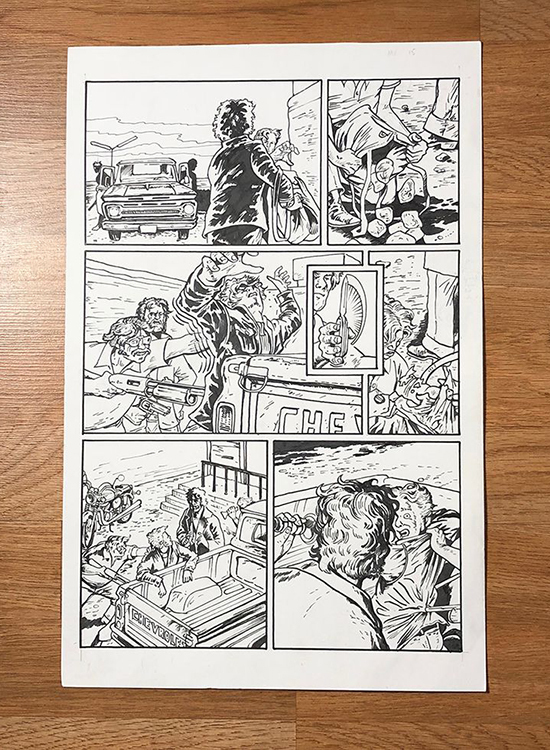 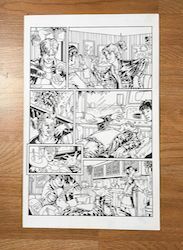 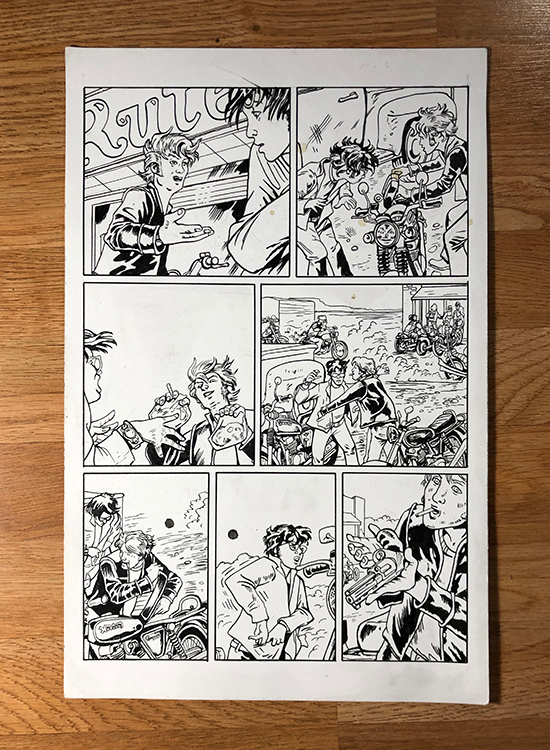 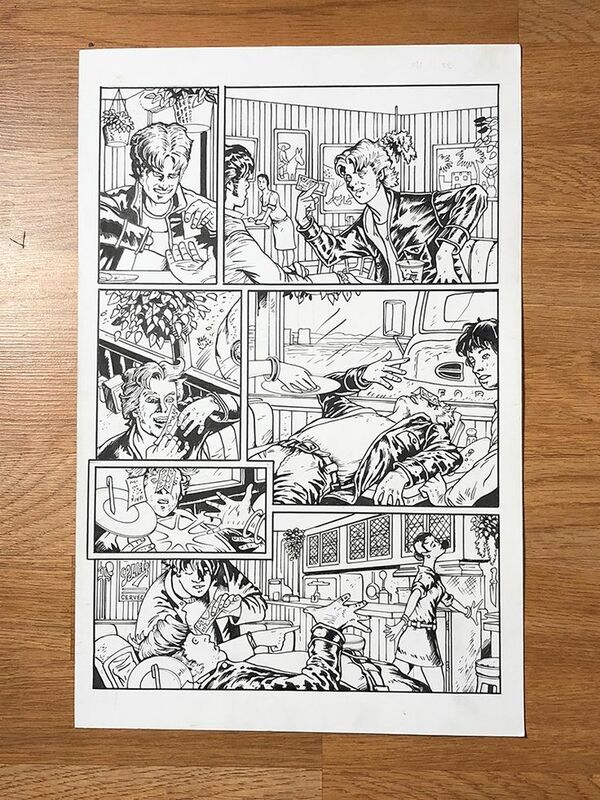 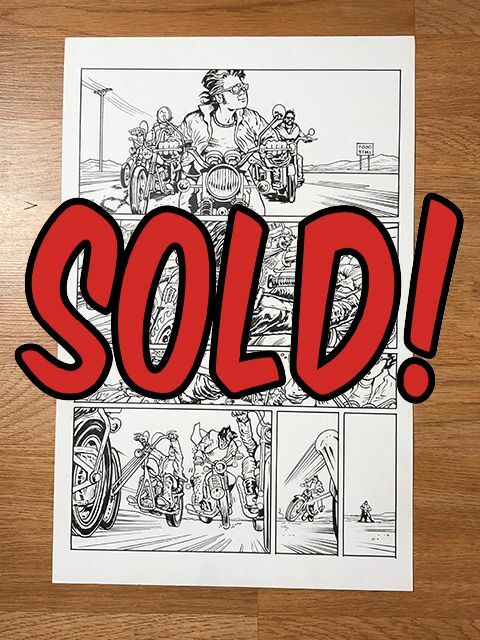 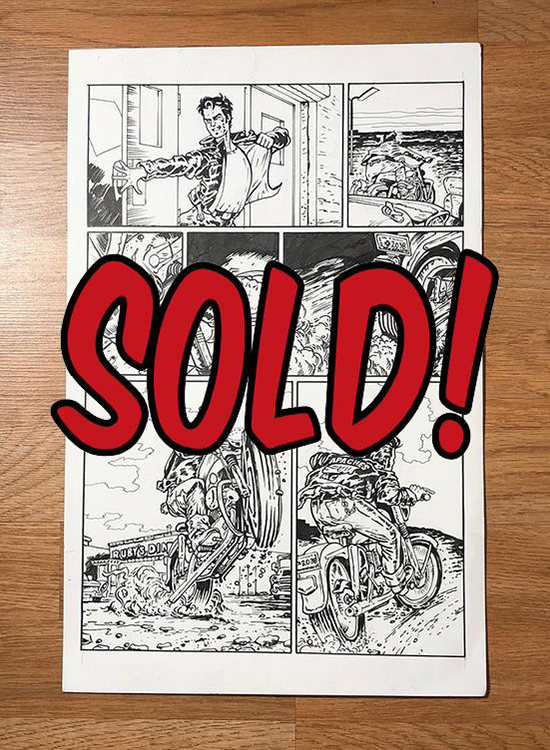 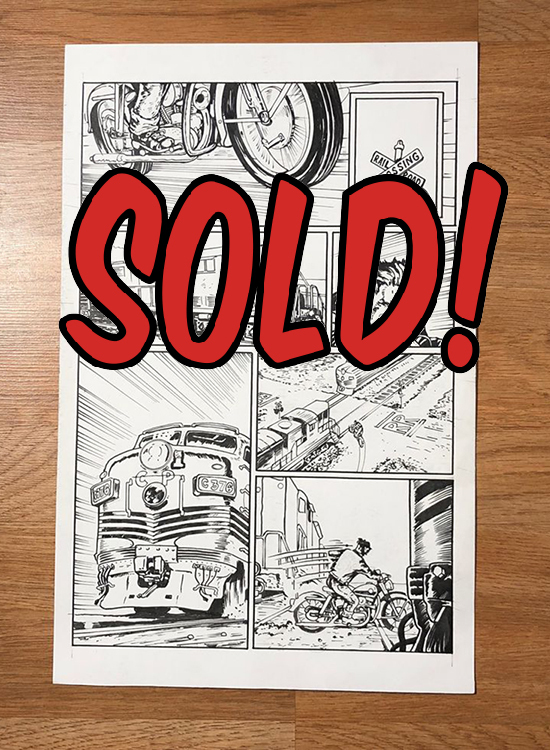 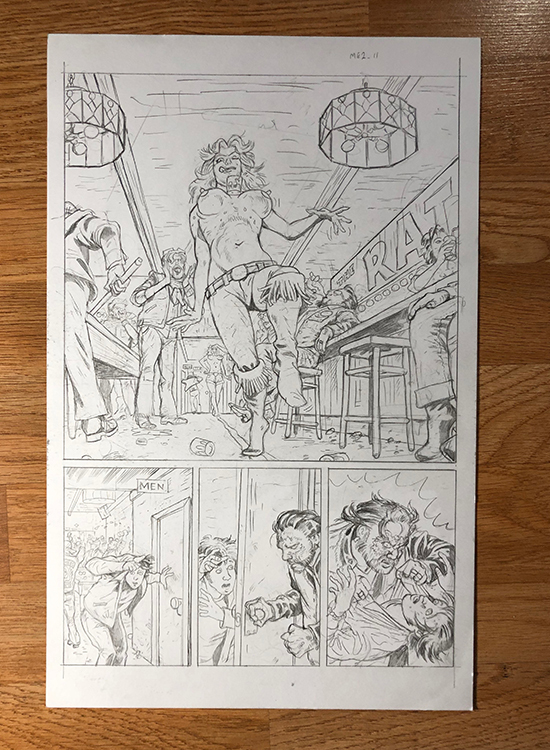 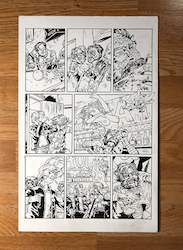 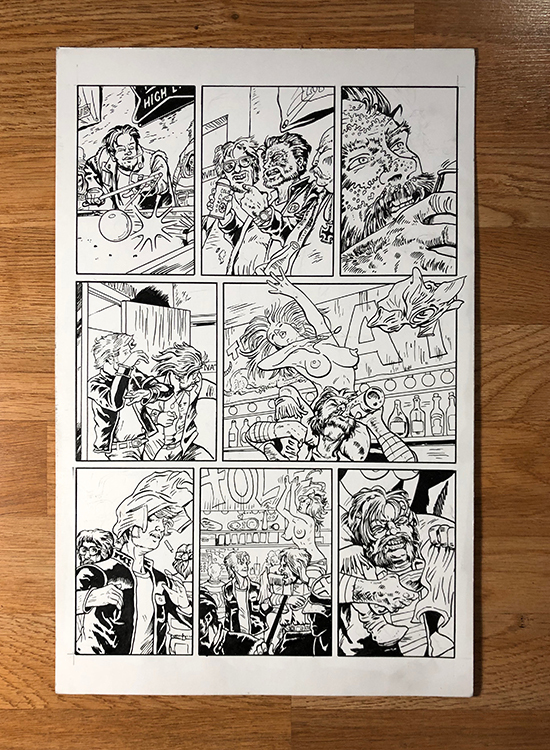 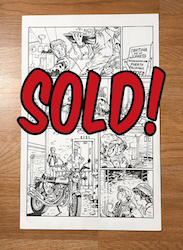 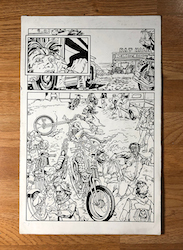 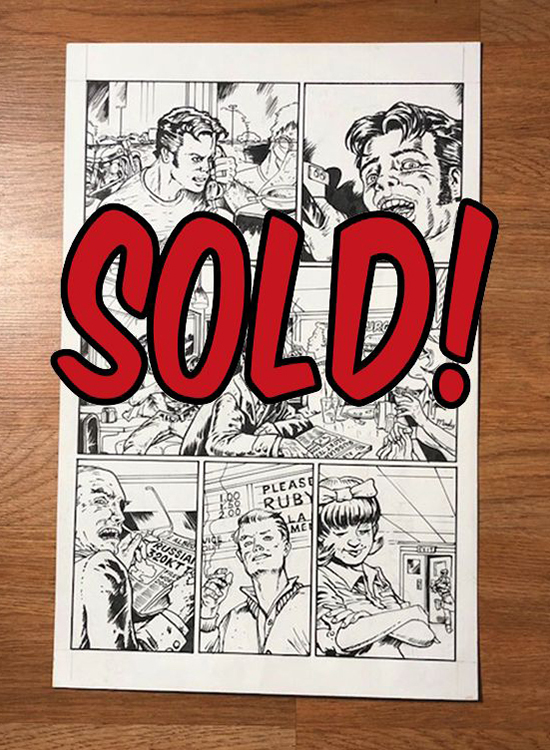 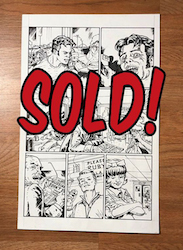 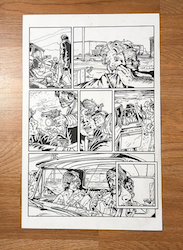 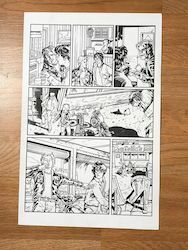 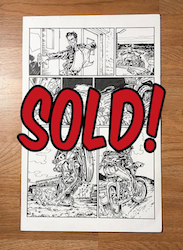 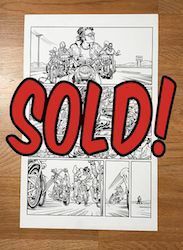 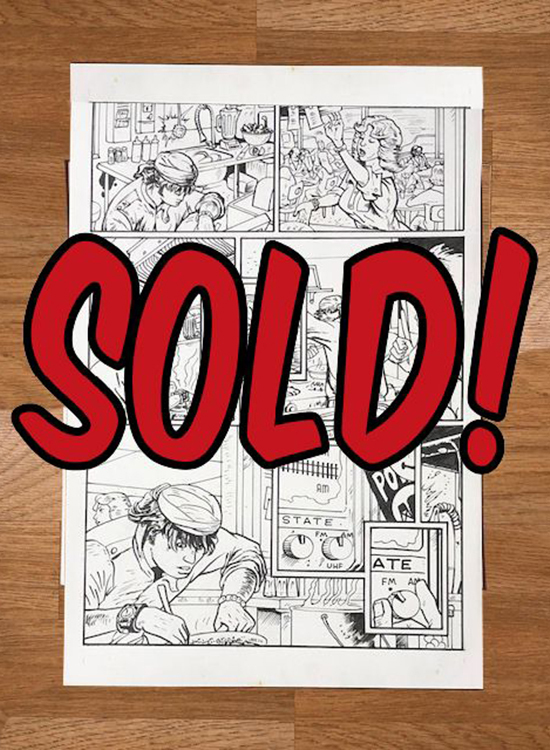 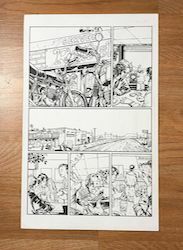 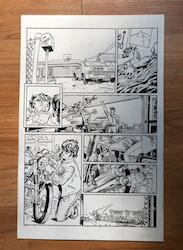 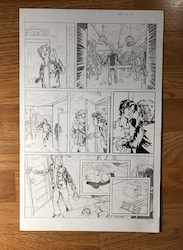 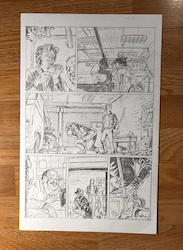 Everyone has a shot to obtain an 11 x 17 inch fully inked by hand sheet (a $100 value) -WITH- a full color and lettered sampler page from the finished comic attached to the back. 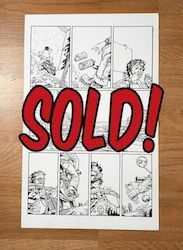 Each page is signed by me the artist, and comes mounted on matboard with photo corners and wrapped in protective clear mylar. 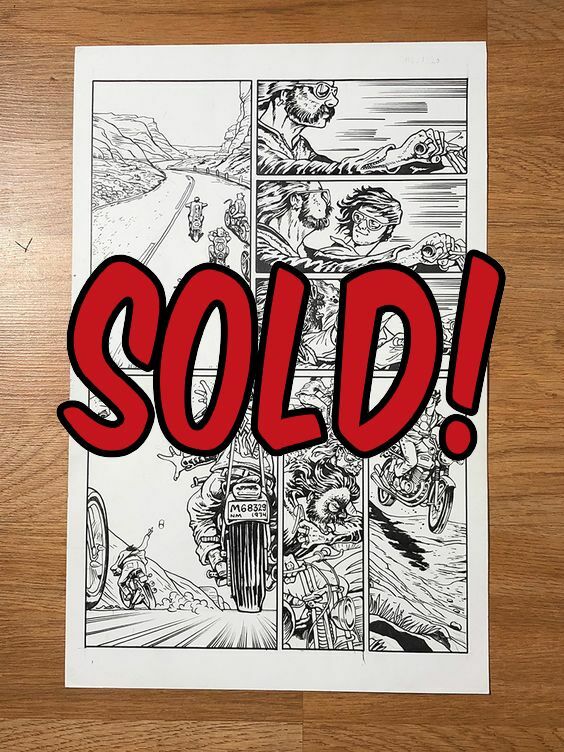 Hurry on this! 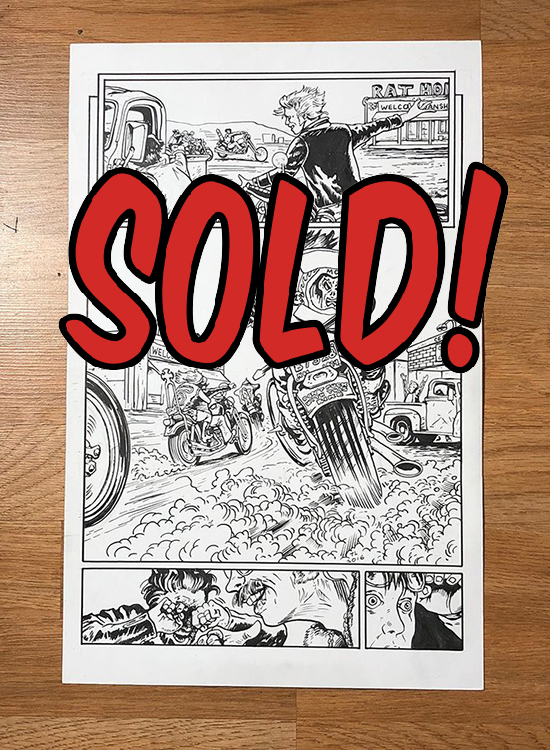 As you can see below, pages are getting picked up fast! 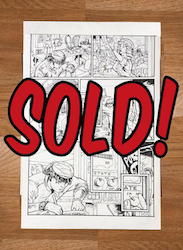 Click here (or the computer picture above) to go to the subscriber list application page. 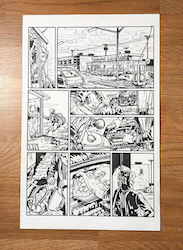 Copy the url and email your friends and/or forward the page to your friends. 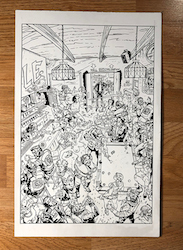 Send me an email (tim@timsnotebook.com) to let me know the names of the people you're inviting to subscribe. 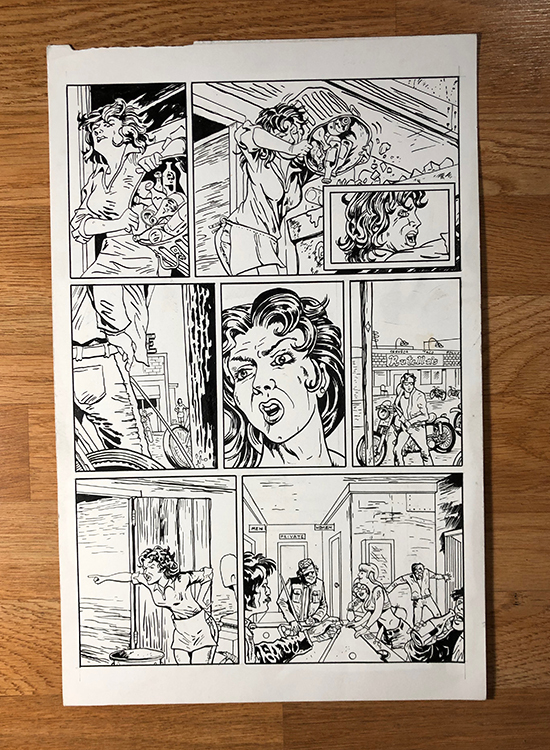 List the names in the body of the email (along with the page[s] you want to get) with 'new subscribers' in the subject line. 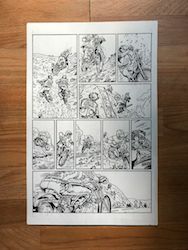 Please make sure your friends are using the same names you are using so I'll know who they are! 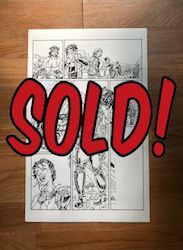 As soon as I can confirm the 5 (or more) names as added I will contact YOU within 24 hours so you can claim the page(s) you want to get sent to you! 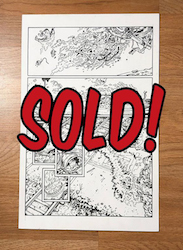 Please note: The email addresses must be valid and unique. 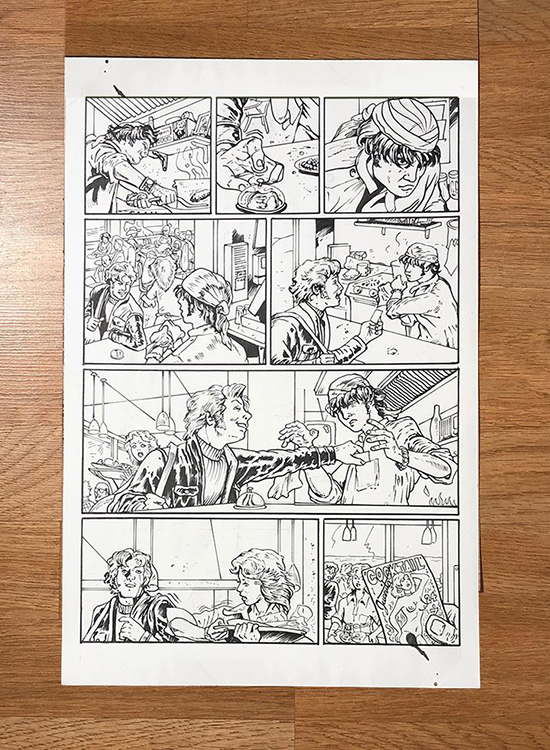 The owner of the email addresses must use the subscription form to contact me, you can't act as a spokesperson on their behalf, they have to take action and subscribe themselves. 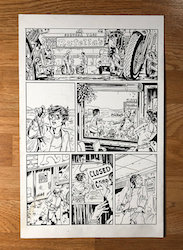 Dad finding out son is born at diner. 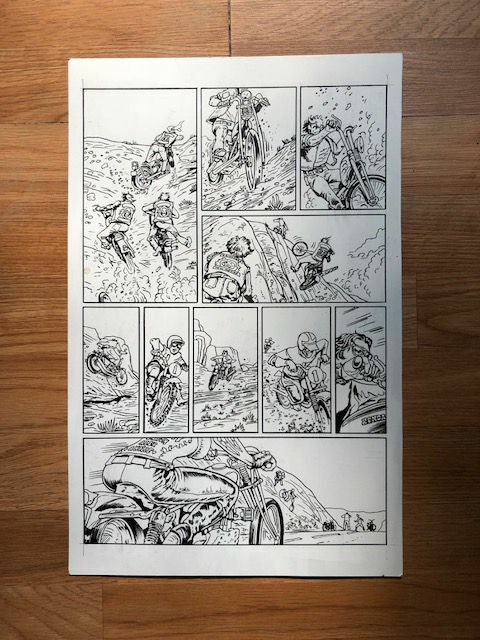 Dad rushing to hospital on motorcycle. 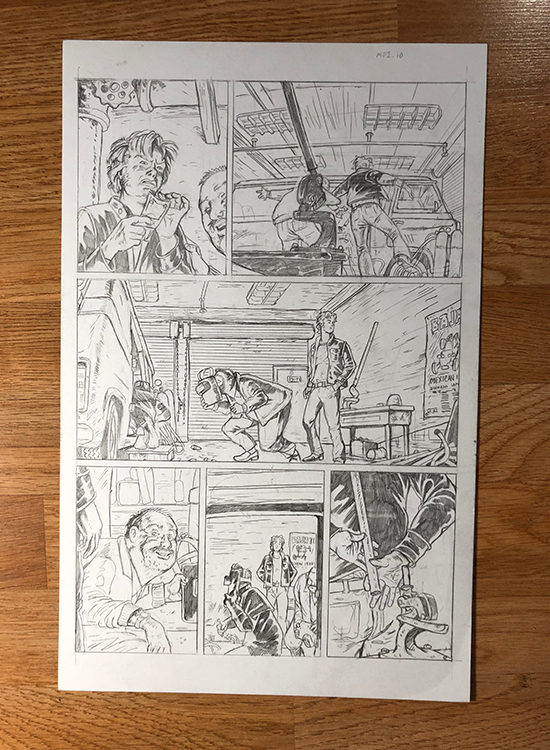 Cal meets up with Lenny. 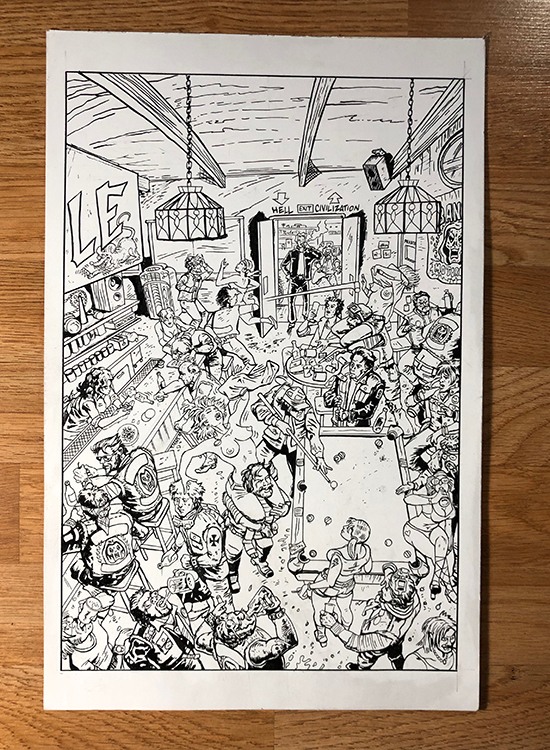 Lenny's birthday present to Cal. 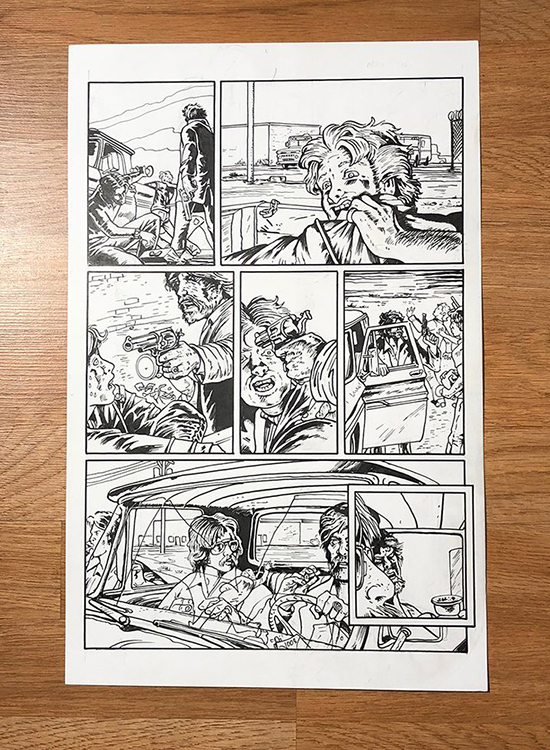 Furtive Lenny and the Coke. 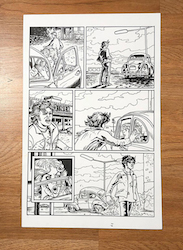 Cal on the road, musing. 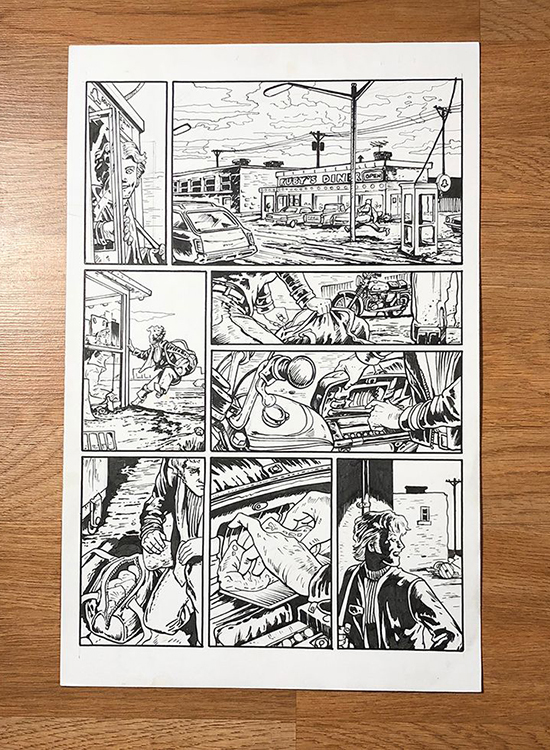 Cal sees a spray can. 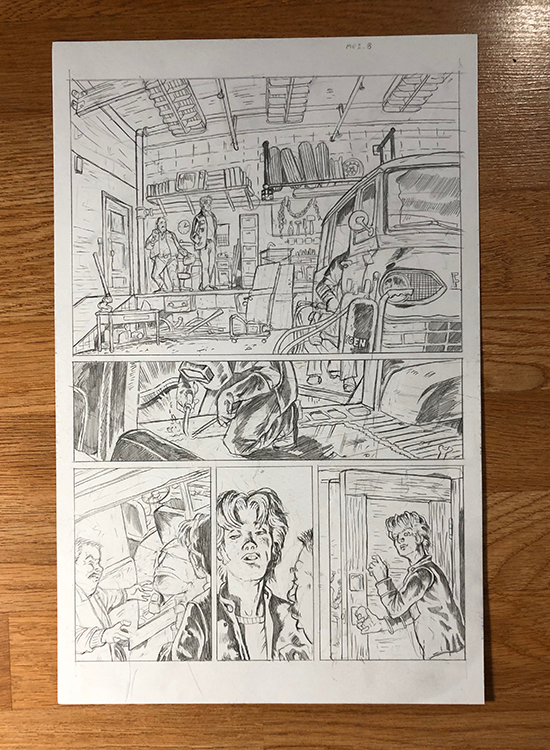 "Cal, give me your keys." 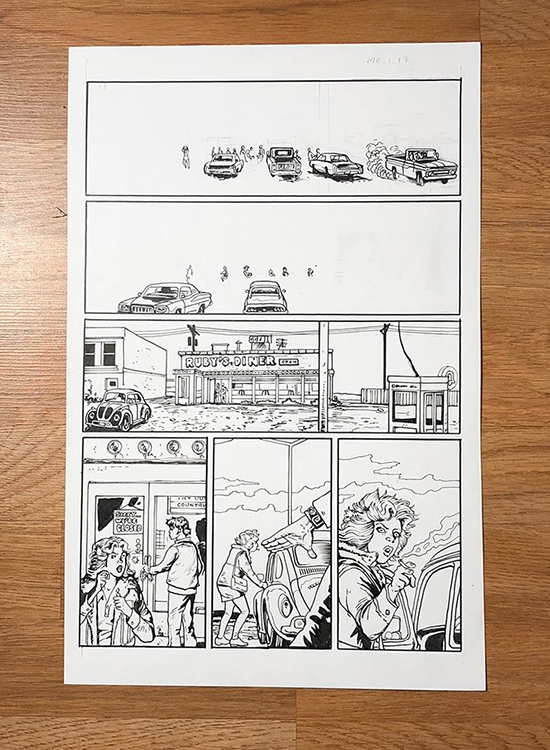 "Oh, and take this too." Lenny needs to see Jorge.